Starring T. J. Miller, James Corden, Anna Faris, Maya Rudolph, Steven Wright, Rob Riggle, Jennifer Coolidge, Christina Aguilera, Sofía Vergara, Sean Hayes and Patrick Stewart. By the time my viewing experience of The Emoji Movie came to an end, I genuinely came to wonder whether or not I’d died during the trailers preceding the film, and all of the subsequent 80 minutes of “cinema” I witnessed were in fact merely my brain’s synapses randomly, desperately firing in all directions, generating such a senseless, pointless, sloppy mishmash. A depressing sign of just how strapped for cash Sony’s various film divisions are – for one, Sony Pictures lost $86 million in this year’s first quarter – and how pretty much anything can be commodified these days, emojis now have their own film, one with the primary purpose of marketing various smartphone apps to youngsters, which is just as charming as it sounds. Indeed, The Emoji Movie doesn’t hold back one bit when it comes to referencing Facebook, Instagram, YouTube, Just Dance, Dropbox, Candy Crush and so on, many of them even becoming significant plot beats, and in the case of the mobile games, they even get extended set-piece demos to hammer the point home. While a lot of these apps are indeed free, it’s still embarrassingly icky to push anything this transparently to youngsters who don’t know any better, and that’s without even considering the fact that many of the products generate income from in-app transactions and services. But what about the film itself, you ask? Well, for a few fleeting minutes, it seems like it might have a few more canny tricks up its sleeve than expected, with a not-totally-awful introduction to the land of Textopolis and a few gags that at least hint at a certain sly self-awareness. Sadly, these quickly become outliers in a film that opts for the laziest, cringiest jokes time and time again, all while a talented, all-star cast (including T.J. Miller, James Corden, Anna Farris and…Patrick Stewart) are left to sleepwalk through their lines like bored lovers thinking about literally anything else. Yes, at its core there is an earnest central theme about being yourself and not conforming to what others expect of you, but it’s no deeper than a spilled pint and feels awfully trite considering how it’s been the philosophical cornerstone of so many mediocre, even bad, animated films over the last, oh, two decades. That anyone might actually take something positive away from the film’s aggressively inane shtick is, frankly, staggering. Minor solace comes from the fact that the film doesn’t look horrendous and, more importantly, it barely runs at feature length by the time the long end credits sequence kicks off, which of course, begins with a song and dance routine. So, it certainly could’ve been more torturous, but that doesn’t mean it’s not the worst animated film to come from a major studio in many a great year. With scattershot adult “humour” that attempts to keep the grown-ups conscious while it hocks digital wares to the kiddies with bright colours and moon-faced characters, The Emoji Movie casts as wide a net as possible, but in turn may end up actually satisfying few. With adults surely seeing through its ruse, while the youngest kiddies hopefully won’t have smartphones yet, it seems that teens are the prime demo, which makes sense considering that the movie’s piecemeal wraparound story follows a high-schooler trying to use emojis to date a fellow classmate. 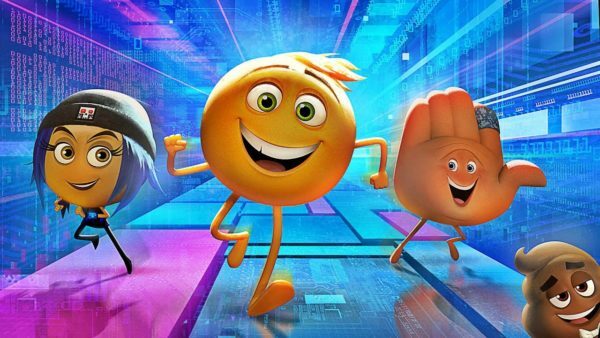 Above all else, the near-laughless, pointless The Emoji Movie is a towering, poop-filled monument to Hollywood’s breathless endeavour to monetise anything and everything within reach. Remember when the prospect of a Hungry Hungry Hippos or Monopoly movie seemed horrifying? Oh, weren’t they the glory days? 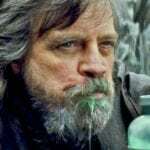 Though critics have widely-panned the movie to Hell and back, there may in fact be hope for it with its actual, intended audience. As I exited my screening, one young lady excitedly shouted, “It was even better than Inside Out!” Be afraid, be afraid. I’m looking forward to seeing the film with my niece. I may not enjoy the cringe but hopefully Beth likes it. Full stops, matey. Full stops.